The Men’s Club is a great way to meet people, support the synagogue, and participate in interesting and fun activities. We are famous for our Sunday breakfasts. Our delicious pancakes and eggs, personally cooked by our members, attract large, hungry crowds. A typical year may include Comedy Night, where we are entertained by professional comedians, a Talent Show, where our very own members have the opportunity to perform, a spaghetti dinner with a seemingly endless supply of meatballs, and special events of interest to the entire community. 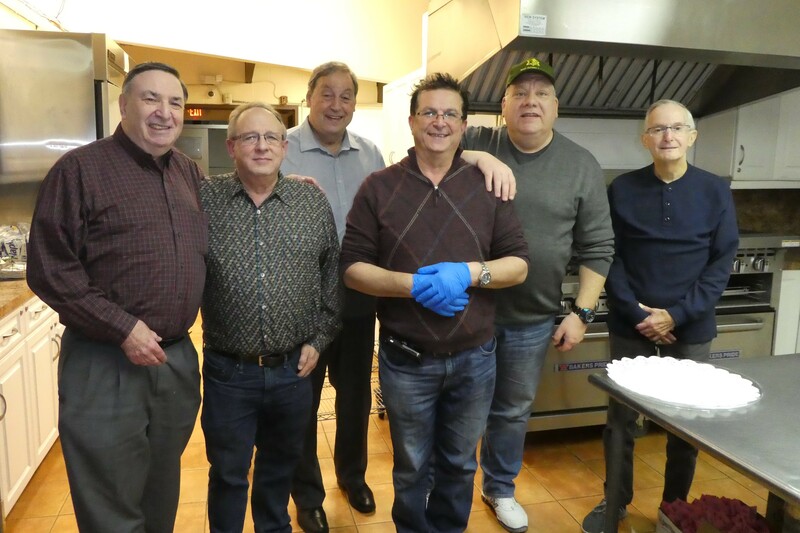 Throughout the year Men’s Club is involved in many activities that help strengthen our commitment to Judaism. We host a participatory Shabbat where our members lead the service. We run a Shalach Manot fundraiser for Purim and distribute Yom Hashoah candles to observe these holidays. We are also proud to present a “Man of The Year Award “recognizing the efforts and commitment of one of our special members each year. We are always happy to welcome new members and new ideas. All are welcome to join our monthly poker nights, usually the first Monday of every month. Join Men’s Club and become a part of our synagogue community.